I have a question about the icons. However, we are more than happy to help you out if you have questions on your device. Here's the official iOS 9.2 user guide. You download it and it goes in iBooks. It's really nice. Re: How can I get an IPhone User's Guide? I have the 6s and the user guide but how can anyone read a book on a small screen? How do I read this on my desktop computer? It's useless trying to read it on the phone. I'm supposed to use a magnifying glass? I don't think so!! BTW, AFTER POSTING THIS, I was surprised to not be asked to register or log in and even more surprised to see that this forum knows me (marge201). How would that be? Pretty sure it's my first Apple-related forum since I just got the iphone a few weeks ago. I'd really appreciate this version for ios 9.3. I can't read this on the phone. Need my large screen. 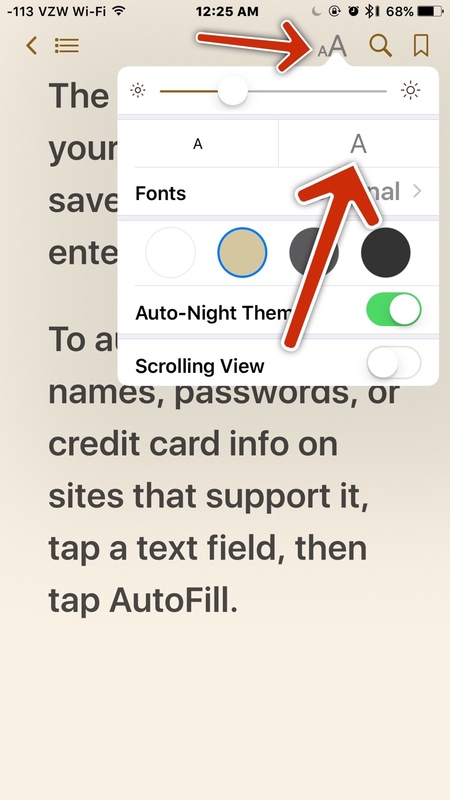 You can increase the text size.